Draft: 2008, Arizona Diamondbacks, 5th rd. Collin Brannen Cowgill… Married, wife's name is Alyson…. Graduate of Henry Clay High School (KY), where he was named Mr. Baseball and Louisville Slugger Player of the Year for the state of Kentucky in 2004… Attended University of Kentucky… Played on the 2006 team that won the first SEC Championship in school history… Named an All-American in 2008. Spent the majority of the season with El Paso (AAA), his first year in the SD organization...Was on the DL at El Paso from 6/3-7/13 with right Achilles tendon inflammation; appeared in rehab games with the Arizona League Padres and AZL Padres-2...Released on 8/5. Began the season with CLE following an offseason trade from LAA...Appeared in 9 games before being optioned to Columbus (AAA) on 4/19 for the remainder of the season...Played all three OF positions for Columbus... Hit .317 with an .803 OPS in 50 home games versus .164 with a .486 OPS in 53 games on the road. Appeared in 55 games with the Angels in 2015 across all 3 outfield positions despite missing 84 games, May 26-August 31, with a sprained right wrist. In first full season with the Angels (4th M.L. season), hit .250 (65/260) with 10 doubles, one triple, five home runs and 21 RBI...Established new career-highs in hits, runs (37), doubles, home runs, RBI, walks (26) and games played (106)...Appeared defensively for the Halos in 49 games in right field, 44 games in left field and 11 in center...Club went 41-29 in his starts...Reached base safely in 59 of 86 games with a PA...Went 2-for-5 as a pinch-hitter including a double and an RBI...Hit first career walk-off home run in the 14th inning June 10 vs. Oakland...Homer was fifth of the season, setting a new career-high...Missed 17 games from July 13 through Aug. 4 with a nasal fracture after being hit by pitch in the thumb and face July 12 at Texas. Hit .231 (21/91) with three doubles, two triples, two home runs and eight RBI in 50 games for the Angels…Acquired by the Halos on June 25 from the Mets in exchange for OF Kyle Johnson…Overall in the Majors, hit .211 with four home runs and 16 RBI... Made Angels debut on July 2 vs. St. Louis...Collected nine hits in 25 at-bats (.360) in July...Hit first home run as an Angel on July 30 @ Texas... 10 of 16 RBI (including RBI w/ NYM) came with the bases loaded... Stole home on Sept. 21…Became the first Angel to accomplish the feat since Erick Aybar on Sept. 20, 2011 @ TOR…Was the first Halo since Leroy Stanton on July 28, 1974 to homer and steal home in the same game... Was New York's Opening Day center fielder (April 1 vs. SD) and hit first career grand slam... Appeared in four games with Triple-A Salt Lake before his call-up…Went 9-for-15 (.600) with a double, two home runs and seven RBI. Had three separate tours of duty with Oakland...Was on the Athletics' Opening Day roster and was optioned to Sacramento (AAA) of the Pacific Coast League on April 17...Recalled onMay 11...Sprained his left ankle June 22 against San Francisco...Placed on the Disabled List for the first time in his career the next day...Began a rehabilitation assignment on July 8 and appeared in two games with Stockton (A) of the California League and four games with Sacramentobefore he was reinstated from the DL and sent back to Triple-A...Returned to Oakland on September 1 and appeared in six games during themonth (2-8, 250)...From May 11 until his ankle injury, he started 24 of Oakland's 39 gamesduring that period...Went 5-35 (.143) over the first 12 games of that stretch...Then collected a season-high three hits in back-to-back games May 26 vs. NewYork and May 28 at Minnesota...From May 26-June 5, he hit safely eight straight games (13-31, .419)...Had three straight two-hit games (June 13-June16) to bring his average upto a season-high .284...For the year he had four games with two hits and two games with threehits...Compiled a .318 batting mark vs. lefthanded pitching ( 14-44) with twodoubles and one home run...Cracked his lone home run of the year June 5th at home with Texas(pitcher)...In 13 games in June, he hit .302 (13-43)...Was 7-17 (.412) with runners in scoring position; and 8-19 (.421 with runners on two outs...At Sacramento, he appeared in 30 games in centerfield, 18 contests in leftfield and 14 games in right field......Hit safely in 10 straight from April 28-May 8 (16-42,.381)....Had 11 RBI overthe stretch...Had home runs in back-to-back games May 6 at Tucson and May 8 againstOmaha...Compiled a .316 batting mark (12-38) in nine games in May...At Sacramento he had one, four-hit game, July 17th at Tacoma, 14 gameswith two hits and 3 games with three hits. Began the season at Triple-A Reno but was promoted to Arizona in late July, making his Major Leaguedebut...spent the remainder of the season with the Diamondbacks, batting .239 with one home run andnine RBI in 36 games...hit .275 (11-for-40) with his lone home run against left-handed pitching comparedto .212 (11-for-52) against right-handers...batted .326 at home, compared to .163 on the road...compiled a .364 batting average during the day, .169 at night...hit .158 when leading off an inning...started 21 games in the outfield, including 15 in left field and six in center field...had two assists in 25games overall in the outfield...was 1-for-9 with five strikeouts as a pinch-hitter...saw his most actionwith 11 games batting seventh...played for Margarita in the Venezuelan Winter League following theseason and hit .212 with six RBI in 27 games. ARIZONA: Was selected from Triple-A Reno July 26 and made his Major League debut that day at SanDiego with a start in left field...went 0-for-4 with two strikeouts...stole the first base of his career thenext day against the Padres...was 0 for his first 11 before delivering a pinch-hit single off the DodgersScott Elbert in the eighth inning July 30 at Los Angeles for his first ML hit...hit .231 over his first ninegames through Aug. 8...then went 1-for-25 (.040) with one walk over his next 13 contests, droppinghis average to .137 at the conclusion of play Aug. 27...went 4-for-4 with a double, his first ML homerun and two RBI Aug. 28 against San Diego...the round-tripper was a solo shot off Cory Luebke in thesecond inning...that began a season-ending stretch where he hit .366 (15 for 41) with eight RBI in 14games...was on the Diamondbacks' postseason roster in the NLDS against Milwaukee, appearing in twogames...pinch hit for starting pitcher Joe Saunders in the third inning of Game 4 at Arizona, deliveringa two-run single to give the Diamondbacks a 7-3 lead in a 10-6 victory...pinch ran in Game 5 but didnot bat. RENO: Was having his best season as a minor leaguer, batting .354 with 13 home runs and 70 RBI in98 games with Triple-A Reno before his promotion...was named to the Pacific Coast League PostseasonAll-Star team and also earned PCL Rookie of the Year honors after ranking second in the league in battingand third in on-base percentage (.430) and runs scored (95)...ranked third among all full seasonminor leaguers in batting and seventh in on-base percentage...was named to the Topps and BaseballAmerica Triple-A All-Star teams...had 24 doubles and eight triples for a .554 slugging percentage...was30 for 33 (90.9%) in stolen base attempts...had career highs in batting, slugging, on-base percentage,runs, triples and stolen bases...topped the Diamondbacks farm system in batting and ranked fourth instolen bases...batted .372 (106 for 285) against right-handed pitching, compared to .309 (34 for 110)against left-handers...hit .393 at home, .351 with runners in scoring postion and .342 when leading off an inning...appeared in 88 games in center field, eight in right field and two in left field...had eight assistsin 98 games overall in the outfield...saw his most action with 87 games batting second...hit .194over his first 10 games...then hit safely in 11 consecutive games from April 19 to May 2 (25-for-47,.532)...was named PCL Batter of the Week for the week of April 25-May 1 after hitting .640 (16-for-25) with eight runs, two home runs and seven RBI in six games...had his lone two-homer game of theseason and scored a season-high four runs in a 4-for-7 performance against Tacoma April 28...had hisfirst of four two-steal games May 17 against Iowa...had a 17-game hitting streak from May 23 to June 9,during which he batted .514 (38-for-74) with eight doubles, two triples, three home runs and 20 RBI...scored a run in 13 consecutive games from May 31 to June 13 (19 runs total)...hit for the cycle June 7against Salt Lake, going 5-for-6 with a season-high four RBI...went 4-for-5 the next day at ColoradoSprings...was named PCL Batter of the Week a second time for the week of June 6-12, going 13-for-27(.481) with eight runs scored...had two more four-hit games June 19 at Las Vegas and June 30 againstSalt Lake...batted .423 with 31 runs scored and 20 RBI in 27 games in June...named to the PacificCoast League Midseason All-Star Team...was the starting center fielder for the PCL in the July 13 gameagainst the International League and went 0 for 3 in the leadoff spot...had hit .300 or better in each ofthe first three months of the season (.387 in April, .311 in May) but was batting .299 in 21 games in Julywhen the Diamondbacks called July 26...was rated as having the Best Outfield Arm in the Arizona farmsystem by Baseball America following the season. Entered the season ranked as the 10th-best prospect in the D-backs organization by Baseball America and helped getDouble-A Mobile to the Southern League Championship Series by leading the BayBears in runs (89), doubles (34),home runs (16), RBI (83) and total bases (233)...also led the club with 21 outfield assists...Finished third in the Southern League in runs scored and RBI and was named to the league's postseason All-Starteam...Hit left-handed pitchers at a .322 clip (49-for-152) with 11 doubles, 4 home runs and 28 RBI...Hit .327 (32-for-98) with 5 doubles, 2 triples, 5 home runs and 16 RBI in July...Hit .307 (75-for-244) with 17 doubles, 2 triples, 10 home runs and 77 RBI with runners on base...Plated a season-high 5 runs on May 11 @ West Tennessee after going 2-for-5 with a grand slam...Strung together a season-long 9-game hitting streak from May 26-June 6 over which he hit .275 (11-for-40) with 3doubles, a home run and 6 RBI...Collected a season-high 4 hits on two occasions; June 17 vs. Tennessee and July 6 @ Jacksonville. Established new career-highs with 5 triples and 36 RBI at Single-A Advanced Visalia despite having his season cut short after suffering a right hand fracture in mid-June...Earned the organization's Player of the Month honors for April after hitting .311 (23-for-74) with 5 doubles, 3 triples, 4 homers, 18 RBI and 12 runs scored in 20 games...Had a season-long 7-game hit streak (.357, 10-for-28) from May 3-8...Had a season-high 4 RBI on April 25 @ Modesto after going 2-for-5 with 2 triples...Placed on the disabled list on June 15 for the remainder of the season with a right hand fracture...had surgery performed on June 15 by Dr. Donald Sheridan in Phoenix...Following the season, ranked by Baseball America as the D-backs 10th-best prospect entering the 2010 season. Led Short-Season A Yakima with a .304 batting average and 11 home runs and ranked second with 28 RBI...Led the Northwest League with 11 home runs...Hit 2 home runs, including his first career grand slam, and had 6 RBI while going 3-for-6 with 4 runs scored on June 28 @ Boise...Had a 7-game hit streak (.444, 12-for-27) from July 1-7, batting .444 (12-for-27)...Went 4-for-6 with 4 runs scored, 3 home runs and 5 RBI on July 2 vs. Spokane...Named Northwest League Player of the Week from June 30-July 6...Had 7 multi-hit games and 6 multi-RBI games in 20 games for Yakima before being promoted to South Bend on July 9...In his South Bend debut on July 10, went 2-for-3 with 2 runs scored and 2 walks...Went 2-for-4 with 3 runs scored, a triple and 4 RBI on Aug. 28 @ Fort Wayne. April 2, 2019 OF Collin Cowgill assigned to Fresno Grizzlies. 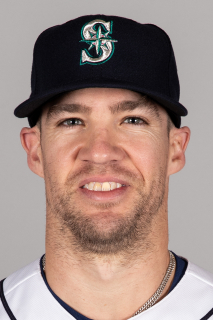 March 12, 2019 LF Collin Cowgill assigned to Washington Nationals. November 2, 2018 CF Collin Cowgill elected free agency. August 17, 2018 Lehigh Valley IronPigs activated CF Collin Cowgill from the 7-day disabled list. August 9, 2018 Lehigh Valley IronPigs placed CF Collin Cowgill on the 7-day disabled list. Left shin contusion. February 15, 2018 CF Collin Cowgill assigned to Lehigh Valley IronPigs. February 9, 2018 Philadelphia Phillies signed free agent CF Collin Cowgill to a minor league contract and invited him to spring training. August 6, 2017 El Paso Chihuahuas released OF Collin Cowgill. July 14, 2017 El Paso Chihuahuas activated OF Collin Cowgill from the 7-day disabled list. July 9, 2017 El Paso Chihuahuas sent OF Collin Cowgill on a rehab assignment to AZL Padres 2. July 5, 2017 El Paso Chihuahuas sent OF Collin Cowgill on a rehab assignment to AZL Padres. June 5, 2017 El Paso Chihuahuas placed OF Collin Cowgill on the 7-day disabled list. February 10, 2017 OF Collin Cowgill assigned to Reno Aces. February 10, 2017 El Paso Chihuahuas activated OF Collin Cowgill. February 6, 2017 San Diego Padres signed free agent OF Collin Cowgill to a minor league contract and invited him to spring training. October 5, 2016 CF Collin Cowgill elected free agency. September 2, 2016 Cleveland Indians sent Collin Cowgill outright to Columbus Clippers. September 1, 2016 Cleveland Indians designated RF Collin Cowgill for assignment. April 20, 2016 Cleveland Indians optioned CF Collin Cowgill to Columbus Clippers. December 2, 2015 Los Angeles Angels traded LF Collin Cowgill to Cleveland Indians for cash. September 1, 2015 Los Angeles Angels activated LF Collin Cowgill from the 60-day disabled list. August 15, 2015 Los Angeles Angels sent OF Collin Cowgill on a rehab assignment to Salt Lake Bees. August 12, 2015 Los Angeles Angels sent OF Collin Cowgill on a rehab assignment to Inland Empire 66ers. August 4, 2014 Los Angeles Angels activated LF Collin Cowgill from the 15-day disabled list. August 1, 2014 Los Angeles Angels sent OF Collin Cowgill on a rehab assignment to Salt Lake Bees. March 30, 2014 Los Angeles Angels activated RF Collin Cowgill. August 24, 2013 Los Angeles Angels recalled Collin Cowgill from Salt Lake Bees. August 21, 2013 Los Angeles Angels optioned Collin Cowgill to Salt Lake Bees. July 2, 2013 Los Angeles Angels recalled Collin Cowgill from Salt Lake Bees. June 26, 2013 Collin Cowgill assigned to Salt Lake Bees. June 25, 2013 Burlington Bees Traded RF Kyle Johnson to Savannah Sand Gnats and New York Mets Traded CF Collin Cowgill to Los Angeles Angels. June 19, 2013 New York Mets designated Collin Cowgill for assignment. June 11, 2013 New York Mets recalled CF Collin Cowgill from Las Vegas 51s. May 3, 2013 New York Mets optioned Collin Cowgill to Las Vegas 51s. October 12, 2012 Collin Cowgill roster status changed by Oakland Athletics. September 1, 2012 Oakland Athletics recalled Collin Cowgill from Sacramento River Cats. July 17, 2012 Oakland Athletics optioned Collin Cowgill to Sacramento River Cats. July 17, 2012 Oakland Athletics reassigned RF Collin Cowgill to the minor leagues. July 17, 2012 Collin Cowgill roster status changed by Sacramento River Cats. July 12, 2012 Collin Cowgill assigned to Sacramento River Cats from Stockton Ports. July 9, 2012 Collin Cowgill assigned to Stockton Ports. May 11, 2012 Oakland Athletics recalled RF Collin Cowgill from Sacramento River Cats. April 17, 2012 Oakland Athletics optioned Collin Cowgill to Sacramento River Cats. October 12, 2011 RF Collin Cowgill assigned to Bravos de Margarita. July 26, 2011 Arizona Diamondbacks selected the contract of Collin Cowgill from Reno Aces. January 19, 2011 Arizona Diamondbacks invited non-roster RF Collin Cowgill to spring training. December 25, 2010 Collin Cowgill assigned to Reno Aces from Mobile BayBears. April 5, 2010 Collin Cowgill assigned to Mobile BayBears from Visalia Rawhide. February 1, 2010 Arizona Diamondbacks invited non-roster RF Collin Cowgill to spring training. September 21, 2009 Collin Cowgill roster status changed by Visalia Rawhide. June 15, 2009 Visalia Rawhide placed RF Collin Cowgill on the 7-day disabled list. June 8, 2008 Arizona Diamondbacks signed CF Collin Cowgill.